In a Labor Day tweet, President Donald Trump took Attorney General Jeff Sessions to task over the indictments of two Republican congressmen — one for insider trading, the other for misusing campaign funds. 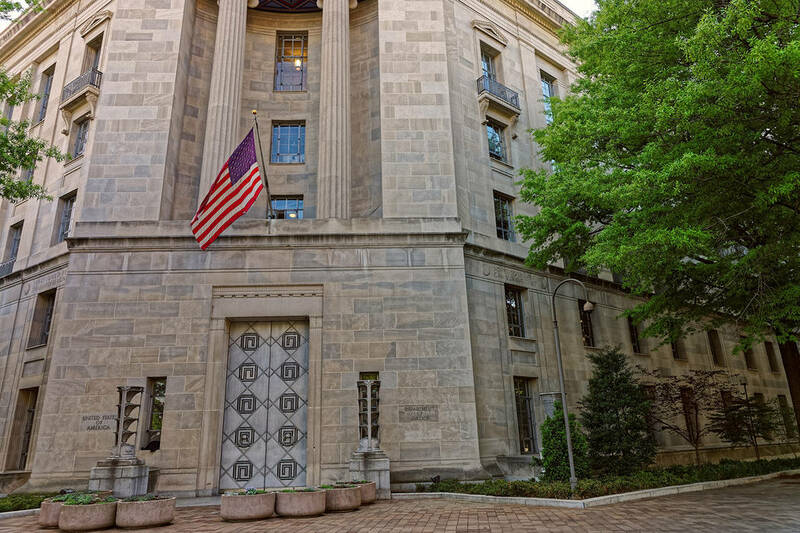 Thinkstock This photo shows the U.S. Department of Justice, which is located in Washington D.C.
Can a presidential tweet — and especially this tweet in particular — be an impeachable offense? Longer answer: The U.S. Constitution envisions impeachment for two specific offenses (treason and bribery) and for other not specifically defined offenses (“other high crimes and misdemeanors”). That second category does carry historical meaning, but the meaning is broad and, more importantly, determined politically and in the moment. Which means that pretty much anything can be an impeachable offense. A “high crime” is not a crime of some particular severity. Rather, it is a crime committed by someone serving in a “high” government position that carries obligations above and beyond those binding a private citizen. The president of the United States is obviously such a person. The first conviction handed down by the U.S. Senate pursuant to impeachment in the House was of a federal judge for the “high crime” of chronic intoxication. Not a crime at all for you or for me, but antithetical to a judge’s obligation to not go mentally self-impaired in the performance of his duties. It’s not a stretch to put Trump’s tweet in the same category as those offenses. He’s a high official, publicly and corruptly calling on a government agency, which he’s obligated to oversee honest operation of, to give members of his party free passes on their own “high crimes” because there’s an election coming soon. Republicans in Congress complained bitterly when former FBI director James Comey and the Obama Justice Department gave Hillary Clinton exactly such a free pass on her grossly negligent handling of classified information in the run-up to the 2016 presidential election. Will congressional Republicans apply the same implied standard to Trump? Yes, whether or not Congress deems Trump’s tweet a “high crime” is indeed a political question. It’s all about the votes — at the Capitol and, come November, at America’s polling places. Thomas L. Knapp (Twitter: @thomaslknapp) is director and senior news analyst at the William Lloyd Garrison Center for Libertarian Advocacy Journalism (thegarrisoncenter.org). He lives and works in north-central Florida.